One of the honeypots of the Moors, Rosedale Abbey emerged as a planned village during the 19th-century with buildings in the Gothic style. Very little remains of the Cistercian nunnery from which the village takes its name, just an angle with two buttresses and a few steps of a spiral staircase. The expansion of the caravan parks to the north and south of the village is a major detractor. 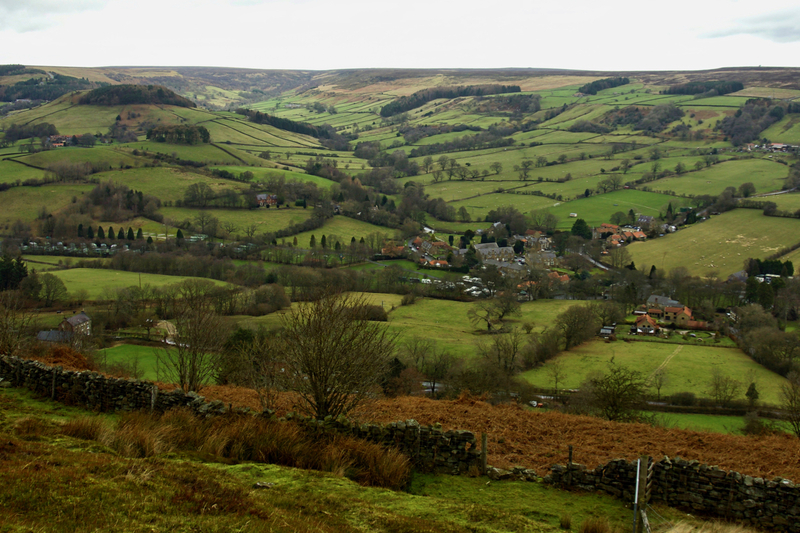 Beyond the village lies Northdale, one of two major tributary valleys of Rosedale, the other being Hartoft further to the south.